You should all know by now I'm on record as disliking the common practice of using dice for recording wounds - they can be accidentally and 'accidentally' picked up. 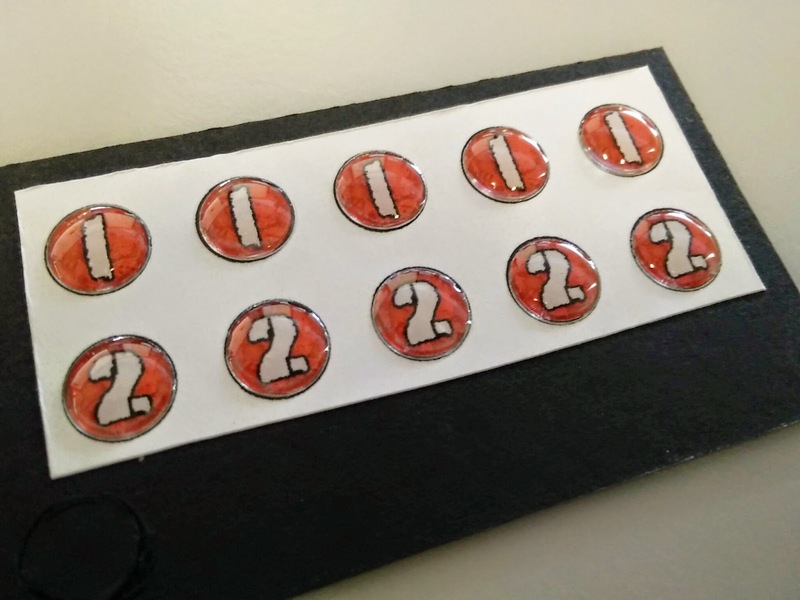 Of course I looked into it and ended up producing my own counters because they practically cost me nothing and if I leave them behind at a tournament I can make some more. However this level of crafting can seem a bit amateurish so you can go next level like Warhammer 39,999 did with his Status effect markers but there's still a cost involved in that and the smallest sized badge will be about 25mm in diameter so it's not great for wounds. However, I saw a tutorial by NafNaf on Objective Secured recently to achieve the same status effect but using adhesive plastic bottle caps. Now, a couple of things, I didn't even know these plastic caps existed, but they do and they come in different sizes and shapes! In addition because they're manufactured in China [mostly] you can get them in bulk. So with this in mind I kept thinking about my current markers. I started off with triangular ones, so they took up less space and you could point them at the specific model that was wounded. They're perfectly serviceable but over time those points fray just a little bit. By time I'm talking four years here so they're really not that shabby. But for ease of construction for the many I give out to my opponents at tournaments I created the square format as the 90° angles are slightly more robust and so easy to cut them into strips with a scalpel and then snip the individual markers with some super-sharp scissors. One thing I never considered was circular markers as cutting many of those would just be insane, but then I saw the bottle caps and in NafNaf's tutorial they used a 25mm hole punch. So I started looking and found 10mm diameter caps and a 10mm leather/card punch. So now we have a device that can be accurately positioned on a marker and removed from it's surround with a quick tap of the hammer. The great thing is you can use the bottle cap to help position the punch, additionally you can leave them on the paper, or stick them onto cereal card for added durability or even mounting card for super thick counters [possibly overkill I think]. On top of that I've also ordered some 9mm square ones from China, which conveniently is exactly the same size as my v2.0 markers! so I'll see what they're like sometime in March. 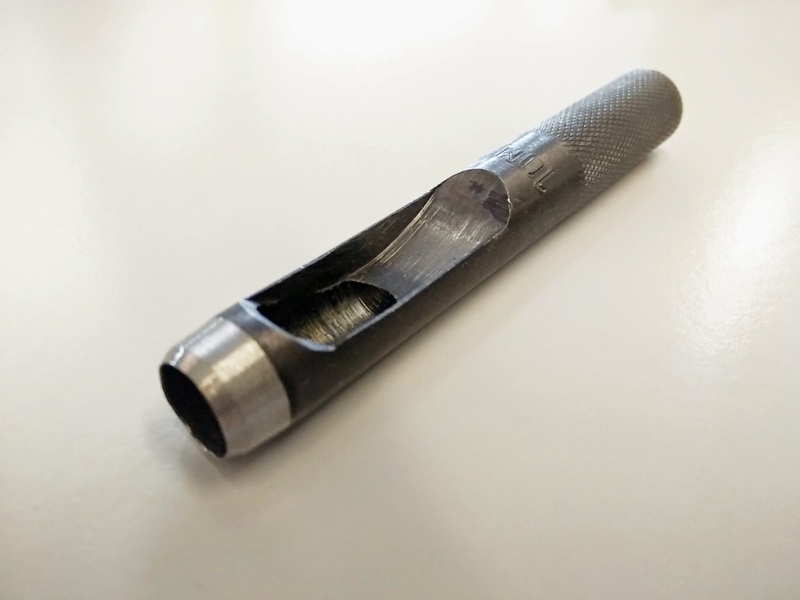 Ultimately though I think this is an ideal solution for those who want something that look more 'professional' without breaking the bank although the punch cost me £3 and 50 10mm bottle caps cost me another £3.50 so £6.50 for 50 wound markers... make your own mind up about value. Personally I can stick to my MK I's for the time being. I only really entered into this as following a tutorial and expanding on it. Although as I ordered 230 of both 9mm square and 10mm round from China I may well have an idea to sell some should there be a demand, although I think I've proved that this is such an easy task there shouldn't be. 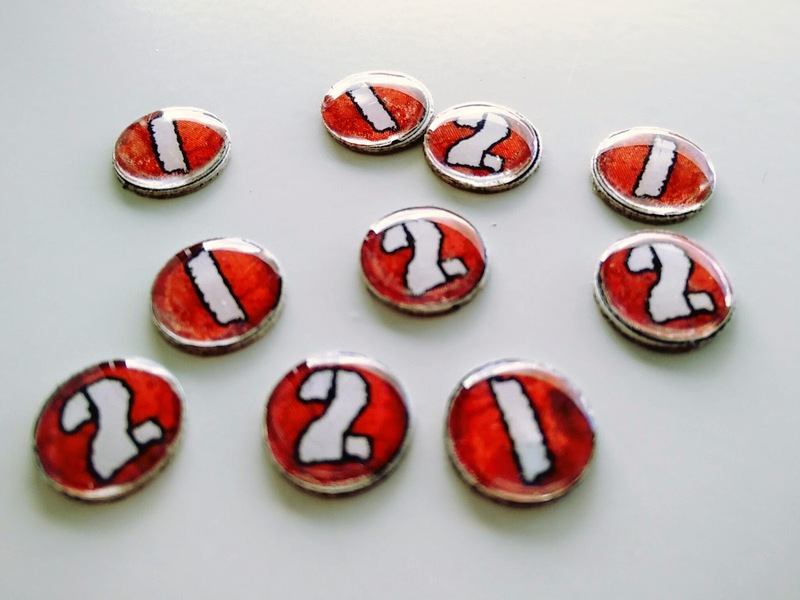 Oh, and another use of these, back before Maelstrom missions you may well have created your own custom objective that did not have numbers on. 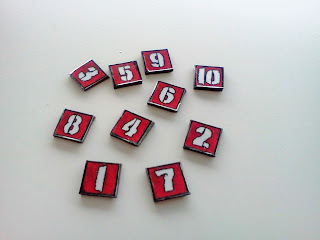 These are discrete yet big enough to be tagged beside those strategic points to differentiate the numbered objectives. UPDATE: So you can see at the top of the page I made some and I have to admit the whole process is a bit of a faff, the punch is not particularly durable and getting through the mounting card was a nightmare. So much so that I actually only took one out and instead stuck with the cereal card ones. These would be OK for your own purposes but certainly not as a production line [and I'll have 230 of these domes coming soon!]. That being said the adhesive domes are fantastic so hopefully the square ones will be cool and a much easier process that may result in production. Happy Birthday Dave, as for the wound there a great idea but I think I'll stick with the rubber bands mate. Thanks for chipping in, it was of course your tutorial that I'd seen so I've edited with a link through to you page, sorry I couldn't remember it off the top of my head. I'll try just the paper ones, thanks. I've been printing and making my own markers for Infinity. I found a 1" circle hole punch to be very robust and easy. 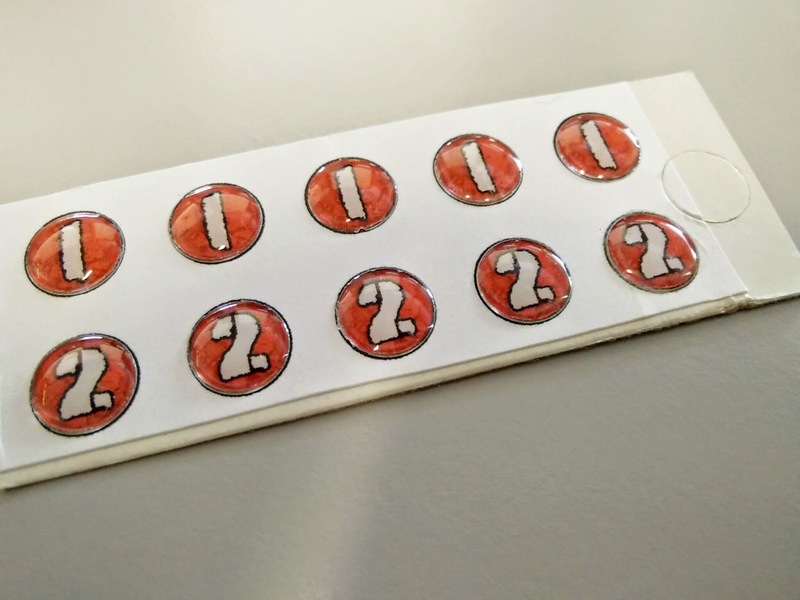 Simply print (on photo paper for best effect and durability) and use 1" bottle cap epoxy stickers for wonderful tokens. 200 of them cost me $15.